The ‘placebo’ in medicine is the sugar pill—the non-remedy against which a real medicine is compared. But the placebo can cure, as well: A certain number of patients will get better because they believe their pill has the power. Though they don’t realize it, their cure comes entirely from within. 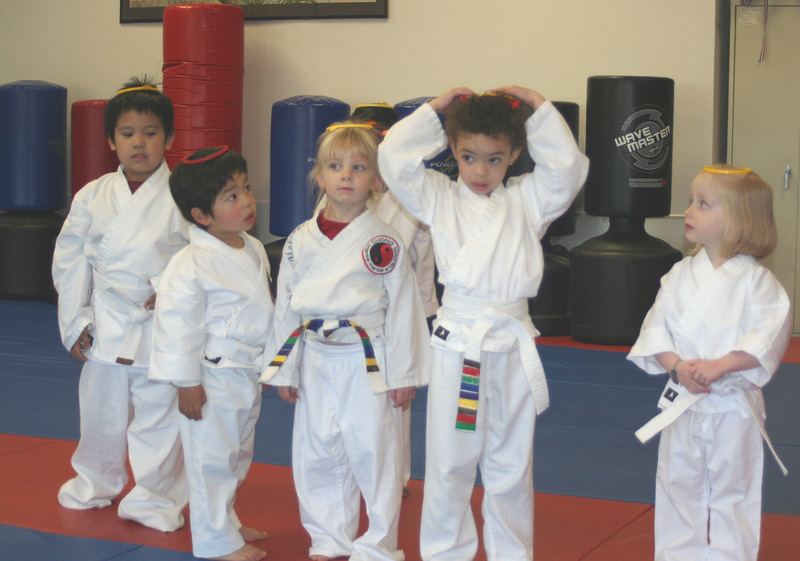 Cut to a dojo in a western town, where children’s class is going on. The kids are looking weak and lazy, whining about how tired they are. They aren’t, of course, whining out loud; they wouldn’t dare. But you can see the whine in their faces and body language. There is general disbelief and shaking of heads. They can’t imagine how they’d have time to practice that much, with their busy lives. I continue, “And you know what happens if a student gets lazy, or doesn’t feel like it, or isn’t doing their best stances?” Our tour-guides were quite matter-of-fact about this; the kids get smacked, spanked, hit with a stick. The word ‘beaten’ was used—which conjures a terrible image in the western mind, so I’ll stick with the more colorful ‘smacked.’ But one thing is certain: Not all cultures regard corporal punishment as a bad thing. And our guides believed the results spoke for themselves. I go pick up my tambo (rattan stick) and begin tapping it menacingly against my other hand. “Alright, guys, let’s see some better effort here, and much better stances!” They giggle and smirk, but when practice starts again, with me walking around tapping my stick, they suddenly look ten times sharper. They’re showing their best effort again—better even than I expected. The threat gets results—and that’s even though they know I’m not going to follow through. It’s “Placebo Discipline.” Now if we could just get them to do it without the sugar pill. There’s a guest post on the Martial Development blog by Matt Klein on the subject of teaching kids; I encourage you to read it and comment if you have time. It echoes many of the principles and techniques we’ve covered here in various posts. It also raises some topics worth revisiting. Matt teaches in Australia, where he has a chain of schools specializing in children and youth. He also has a nice blog that came online a few months ago, and is well worth a browse; you’ll find it on our blogroll. The opening paragraph of his post made me think perhaps things are a little different in Australia. While it was once the case (perhaps 20 years ago) that good children’s programs were uncommon here in the U.S., it’s no longer typical for kids to be thrown in with adults and taught as “miniature adults.” There are nowadays so many excellent kids’ martial arts programs available, it has become quite a competitive enterprise in many towns. It’s true that children’s classes are sometimes used to keep adult programs afloat financially, and also true that instructors teaching kids need to learn how to work with children (hence this blog, among other things), but dojos and dojangs with ongoing children’s programs generally have instructors who enjoy what they’re doing and are motivated to do a good job. Of course, as in all fields, quality varies–and opinions vary as to what constitutes quality! Rather than saying “few get it right,” I’d say many are getting it right; there are many ways of getting it right; and more are learning how every day. Under the heading “Discipline,” Matt raises an issue I’ve talked about with fellow instructors many times over the years, and I thought I’d raise it again here to provoke more discussion. It concerns the use of push-ups as a disciplinary tool. Matt takes the view that exercises shouldn’t be used as a punishment, because exercises should be a positive–something the student should want to do and feel good about doing. I don’t disagree with this position, yet I continue to use push-ups for discipline in my classes. This issue has been around for ages; in fact, I discussed it at length in the early 1990’s when I wrote an essay for Carol Wiley ‘s book, Martial Arts Teachers on Teaching . My piece was called “Learning from Children: Five Easy Lessons for Teachers,” and lesson 3 covers this very topic. You can read it at this link on Google Books. To put it briefly, I think there’s a difference between discipline, a positive, and punishment, a negative; and it’s all in the delivery. My students love doing push-ups, and they know we sometimes use them for serious purposes, like showing our respect for the rules, helping us remember things, and sometimes for dissipating anger or excess energy. But what do you think, readers? Do you make a distinction between discipline and punishment? What kind of tools do you use? Post your ideas here, and don’t forget to let Matt know you appreciate his blog, too. The more voices in the discussion, the better! It was like that back when I was in junior high. The coaches, some of whom doubled as teachers, had paddles (two-by-fours with a handle sanded at one end) with which they would “bust” unruly students. The “jocks” considered it a badge of honor to endure a busting, but it was humiliation for the non-jocks – the awkward, the overweight, the “nerd,” the outsider. Gym class was already a humiliation for those kids, and the threat of further punishment could make it unbearable. I remember one kid who, when he complained he couldn’t do some part of gym class because he had a sprained wrist, was ordered to do push-ups on his sprained wrist (under threat of the paddle)! Clearly this is unacceptable. No one should be humiliated or abused—ever. And in a school population that includes many kids who are reluctant to exercise or go out for a team, to add more fear to the situation goes against a society that values physical health for all its young people. The context of the dojo is somewhat different. Here, we have kids who are already proud to be part of an activity that glorifies physical prowess, and helps them to gain it by increments. 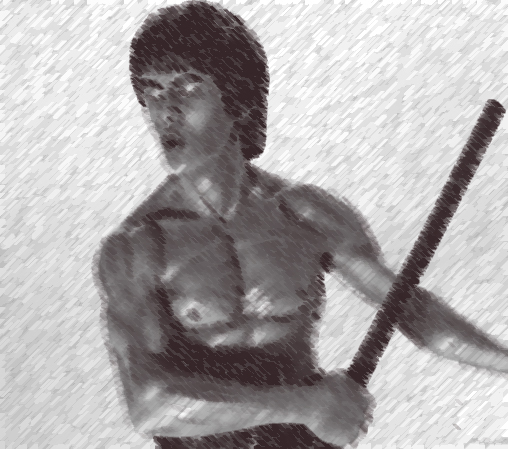 (The kids’ fantasies about physical prowess are a powerful part of the appeal of martial arts.) Some parts of training are hard, but that doesn’t deter the kids from their overall enthusiasm. Learning to work through difficulty is part of what training is about. The kids’ feelings about push-ups don’t change when they’re used (in small, non-abusive sets) as one tool for discipline, and I say this because I’ve seen it, with hundreds of kids over many years. Their feelings about push-ups have to do with how hard they find them, and their attitude toward doing hard things. But they are universally proud of themselves as they see their abilities improve over time (push-ups are a belt requirement in our style). Of course if an instructor encounters students who have a strong negative reaction to push-ups, or to any tool used for discipline—or if the tool isn’t working for someone—we need other tools in the bag. So, back to the original question- What are your tools for discipline? Or, when and how do you ‘punish’?